Edgy all black streetwear fashion with vinyl jacket, denim overalls, black boots and accessories. 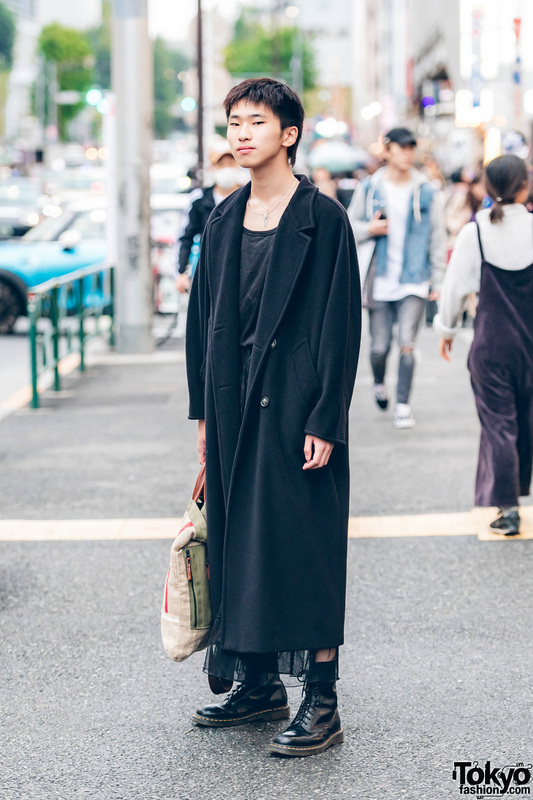 Harajuku guy sporting an all black ensemble with a vintage hemp tote bag. 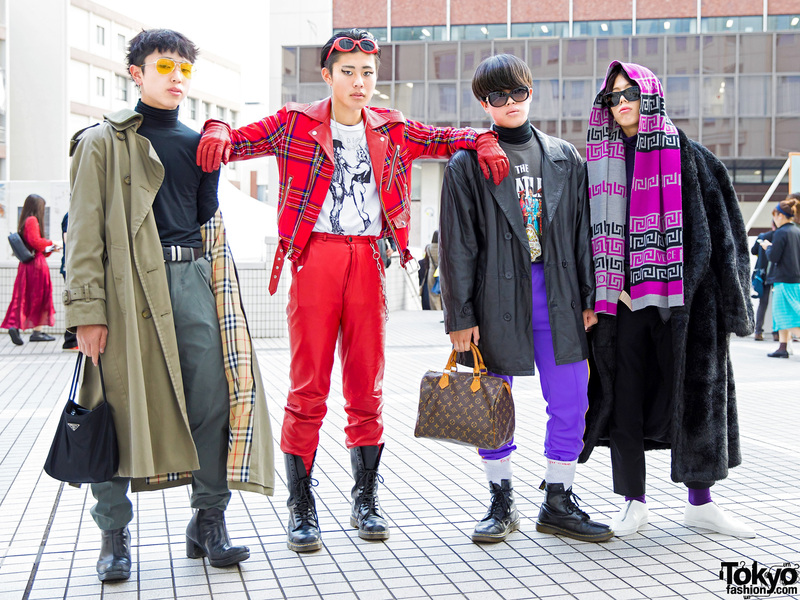 Harajuku model sporting a black and red street style while out and about. 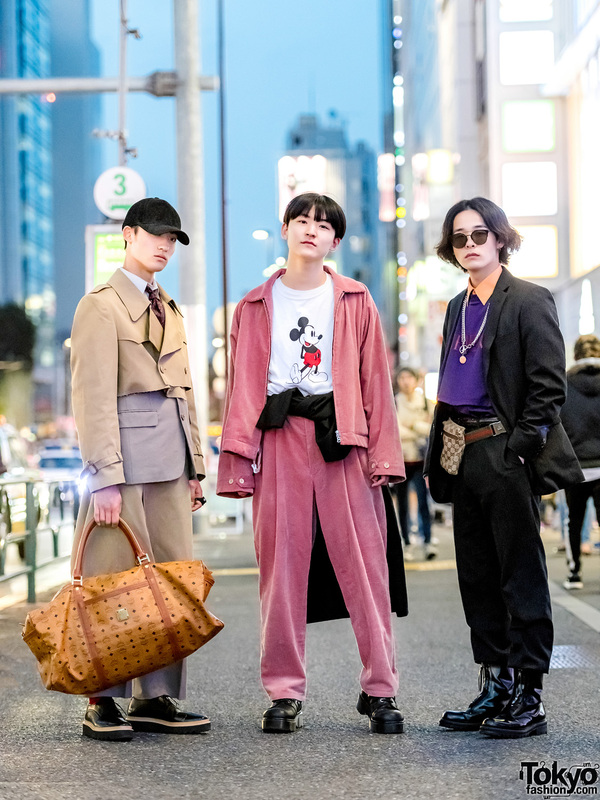 Japanese girls sporting winter street styles with leather and plaid coat over v-neck top, see through ruffle skirt, platform boots, satchel bag and beret; and vintage blazer over turtleneck top, pleated pants, black sneakers and a leather sling bag.